As I wrote about yesterday, the increased welcome bonus on the Citi® / AAdvantage® Platinum Select® World Elite™ Mastercard® is scheduled to end tomorrow, Thursday, July 13, 2017. This is the best sign-up bonus we’ve ever seen on the card, so in this post I wanted to look at six reasons you should consider picking up this card today. The Citi AAdvantage Platinum Mastercard is offering a sign-up bonus of 60,000 AAdvantage miles after making $3,000 of purchases within the first three months, which is the biggest publicly available bonus I ever recall seeing on the card. In fairness, American miles have been devalued a bit over the years, so that’s only reasonable. However, 60,000 miles is a very good sign-up bonus. We don’t know what the bonus will be after tomorrow, but I suspect it’ll be somewhere between 30,000 and 50,000 miles upon completing minimum spend. While the card has a reasonable $99 annual fee, it’s waived for the first year, so this is a chance to “try it before you buy it,” as you’ll have 12 months without an annual fee. If you’re not an American elite member, you’ll appreciate the perks offered with the card if you ever fly American. These perks include preferred boarding on domestic American flights, as well as the first checked bag free on domestic itineraries for you and up to four companions on the same reservation. That can save you a significant amount of money if you ever check bags on domestic itineraries. As an American elite member the above doesn’t benefit me much, though this benefit is enough reason for me to hold onto the Citi AAdvantage Platinum Mastercard. The card offers a 10% refund on redeemed miles, for a total refund of up to 10,000 miles per year. So if you’re like me and redeem at least 100,000 American miles per year, you’ll come out ahead with this benefit alone. As long as you value American miles at a minimum of 0.95 cents each (which hopefully all of us do), that more than justifies the annual fee. While I’m extremely frustrated by American’s lack of saver level award seats on their own flights, there are still excellent redemption opportunities available on partner airlines. Just looking at redemptions originating in the US, 70,000 AAdvantage miles will get you a one-way business class ticket from the US to Asia, the Middle East, India, etc. This can be on airlines like Cathay Pacific, Japan Airlines, Etihad, Qatar, etc. I’ve lowered my valuation of American miles from 1.5 cents to 1.3 cents each recently, but I can’t value them much lower than that. At the end of the day, one of the above awards is easily worth ~$1,800 roundtrip, which is what you’d be paying with my valuation. American miles are worth less than they were before, but most definitely not worthless. This is your last chance to take advantage of the increased sign-up bonus on the Citi AAdvantage Platinum Mastercard. This bonus is the best we’ve seen on the card, the card should be pretty easy to be approved for, and I find that it’s a card that’s worth holding onto long term for the 10% refund it offers on redeemed points. Even with my recently lowered valuation of 1.3 cents per American mile, the sign-up bonus on this card is still worth ~$780. Or…just get the Barclay Aviator card with a bonus of 50,000 miles but with no minimum spend. Plus that card is chip & PIN. I’m confused about their award redemptions in first. What would the cheapest etihad apartments routing cost in miles and how could you route from the US? Could you do a JFK-AUH-LON? It’s not so difficult to avoid the 24-month rule. I’m on my seventh Citi AAdvantage card this year, getting 65K each time lately via secure message. @Lucky: For over a year now I have been waiting for the increased signup bonus for the Citi® / AAdvantage® Executive World Elite™ Mastercard®. 3 years ago it was 75k (might have been a targeted offer), 2 years ago 60k, now it has been staying at the 50k level. Do you by any chance know whether they are planning to increase the sign up bonus on this card again? @Daniel B. I believe it was just 75000 recently for $7500 spend but it looks like that has changed. @Tom. Might have been a targeted offer, because I have been checking it every week through at least 4 sites, and do not recall seeing it. Hopefully it will go back to at least 60k in the next few months. I had the card but cancelled it a couple of months ago. How soon can I re-apply? I cancelled this card 18 months ago: the rule is 24 months. If I reapply now -and I get declined- will the clock reset? @Daniel B.: Citi.com/lounge has an active 75k offer, valid through 9/15. Thanks, but no thanks. I’m with Ted. The 50k offer from Barclaycard is a far more attractive offer from a quality issuer with much better customer service skills. Not to mention how much I’m going to enjoy being able to use a PIN code like everyone else when making transactions outside the USA. I got approved yesterday and have the intention of getting the other cards Ben mentioned so I get 170-180k AA miles. 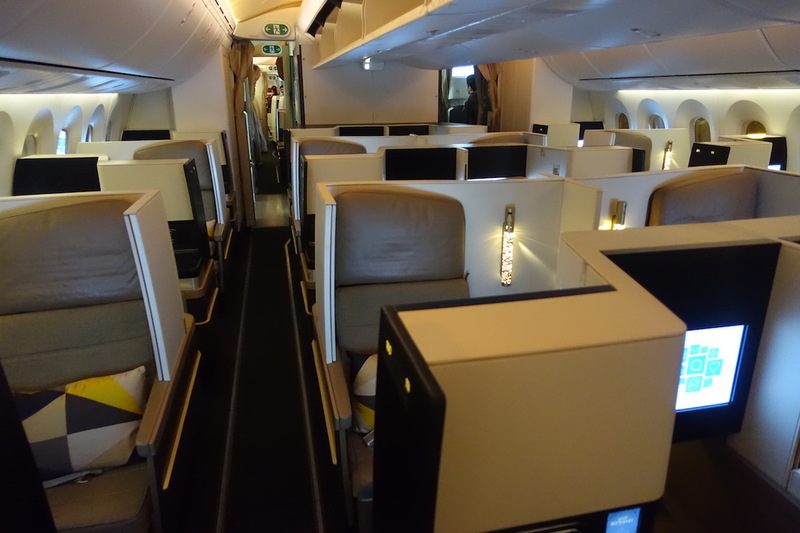 Since the devaluation of their chart, what is the best use of AA miles for F class travel? What are the “sweet” spots? I’m talking about product sampling as I can take any airline and go anywhere anytime. I have the same flexibility as Ben. Anyone care to give some suggestions of what to do with 180K AAdvantage miles. @John. Thanks for the info – I will certainly check it out today. @Lucky – love your blog! Question: where can I search for redeemable tickets using AA points on other airlines. I know I can call but is there a website to see availability? Appreciate it!